Halloween is a time for children to dress up as witches, ghouls and goblins, but historically witchcraft was serious business, according to a Duke University professor. Though people today might view witchcraft as mere superstition, it’s evident from anthropological literature that, for some people, the practice has served a basic human need, said Anne-Maria Makhulu, an assistant professor of cultural anthropology who studies the ongoing practice of witchcraft in Africa. "We live in a bewildering world where we don’t have a lot of control. And we can imagine doing things through magic that we can’t do as ordinary human beings," said Makhulu, who is teaching a course this semester on magic(!) and capitalism(!!). During the early Christian period, Halloween, despite its pagan origins, came to be associated with the veneration of saints and for a time was marked alongside the celebration of those who had been granted sainthood. Today, by contrast, Halloween is largely associated with ghosts and monsters and other popular figures of horror, such as "Jason" from "Friday the 13th." People believe in magic for all sorts of reasons, Makhulu said, including the desire to accrue wealth or advance in life, but the belief also says something about a deep-seated human desire for equality. "When people say they believe in magical forces, they believe in magic that can make the world equal and just in circumstances where it’s not," he stated. 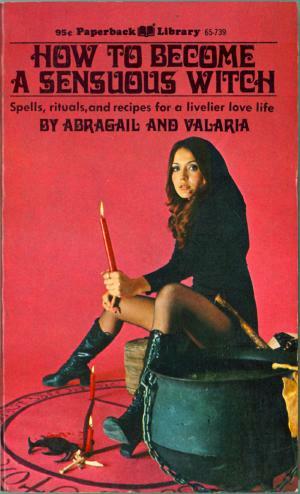 For some, "witchcraft is about recuperating what is ethical, just and moral. "We need enchantment in our lives because our world has become disenchanted. We need faith that promises something bigger and better than what we have." Makhulu’s research mainly focuses on South Africa and urbanization. This semester, she is teaching "Magical Modernities," a course about the "magical properties of capitalism" in which she examines the connections between economic and ritual trends in postcolonial Africa.